So, as you guys know, I’m really bad at Manicure Monday’s. Monday’s are usually pretty busy for me, and I don’t have enough time to make a post or even do my nails. From now on, I’ll try my hardest to post every week, but the likelihood of that is very small. 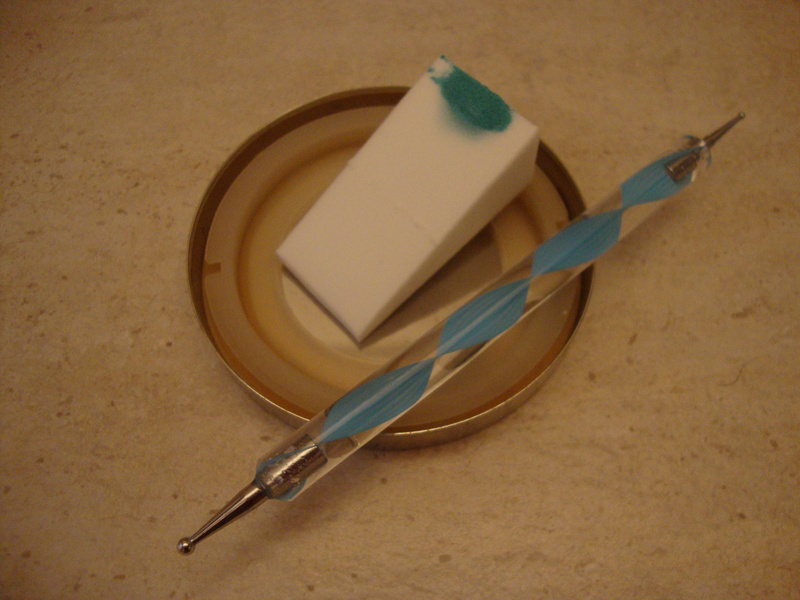 A makeup sponge, a dotting tool (the thicker end), and a Bath and Body works candle lid. My dotting tools came in a set like this from Amazon. 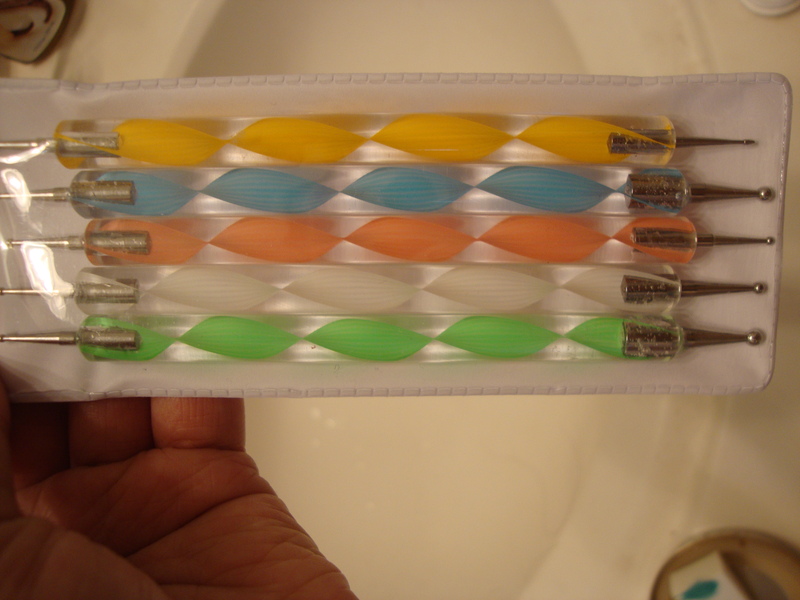 If you don’t have dotting tools, you can always use the top of a pin or a pencil eraser. Also, instead of using a candle lid, you can obviously just use paper or a plate or whatever. I just like using the lid because you can clean off the polish and use it again. 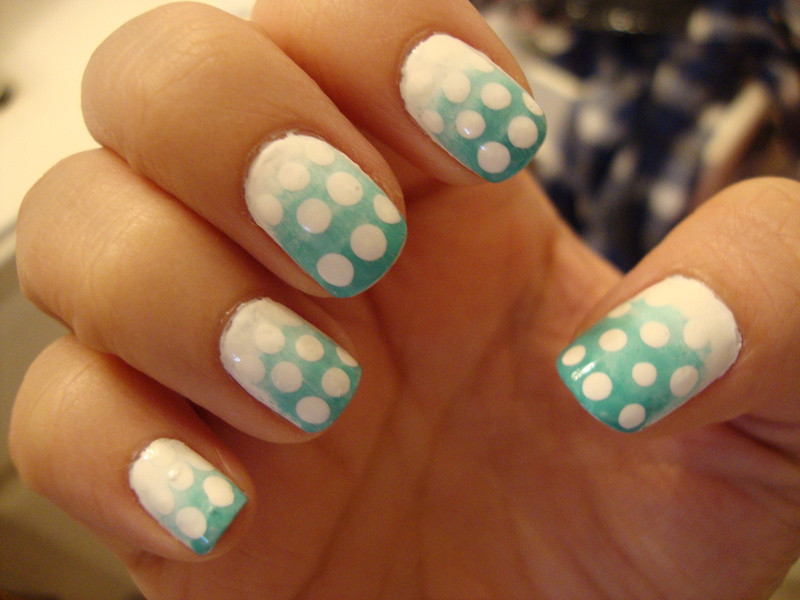 I saw the tutorial for this nail art here. I really do love this look. It’s cute and very simple. In the video, the lady tells you to dab off the excess paint, but that’s just optional; I didn’t do that. Also, I don’t remember if she mentioned it, but I would wait a little for the base to dry before you start sponging on the other color. In total, this look probably took 10 minutes; I did it while watching tv, so you don’t need to concentrate too much. Honestly, the longest part was just painting the base coat. I hate working with white polish! Especially with this white. 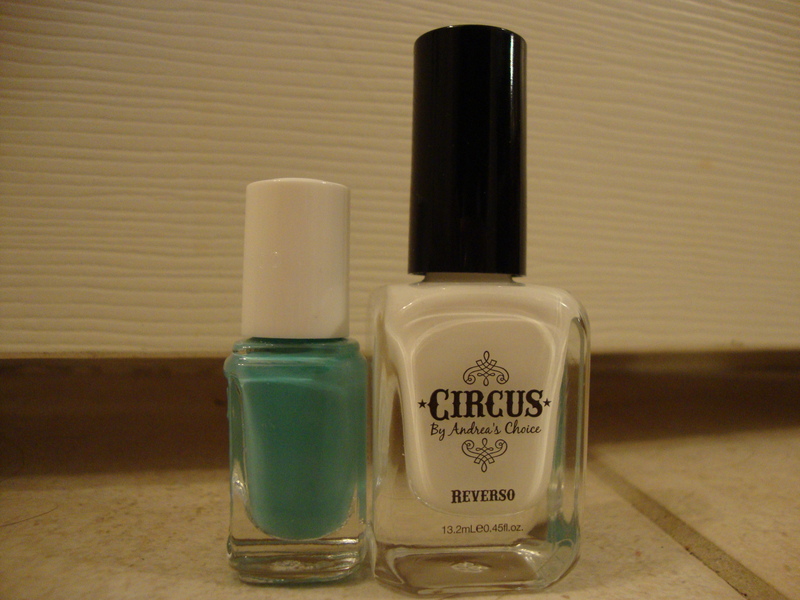 This the first time I used a polish by Andrea’s Choice, and I felt that because the brush is pretty thin, covering the whole nail took some time. It might just be because the polish was white though; they are generally harder to work with/more streaky. I hope you enjoyed this nail look and that you have a great Monday! Thanks! You should try it out yourself; it’s so simple!